There was uncertainty in our house this week. No-one knew for sure if the Easter Bunny visited China. And, if he visited China, would he know that Isabelle and Oliver lived in The Emerald in Shanghai? 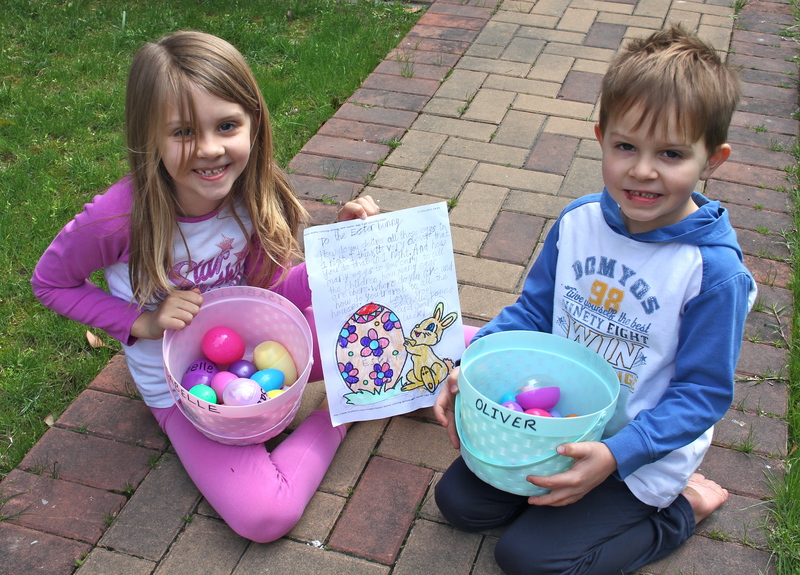 Well, Owen and I both woke up to the sounds of excited squeals coming from our garden so we knew that they were busy hunting for, and finding eggs! 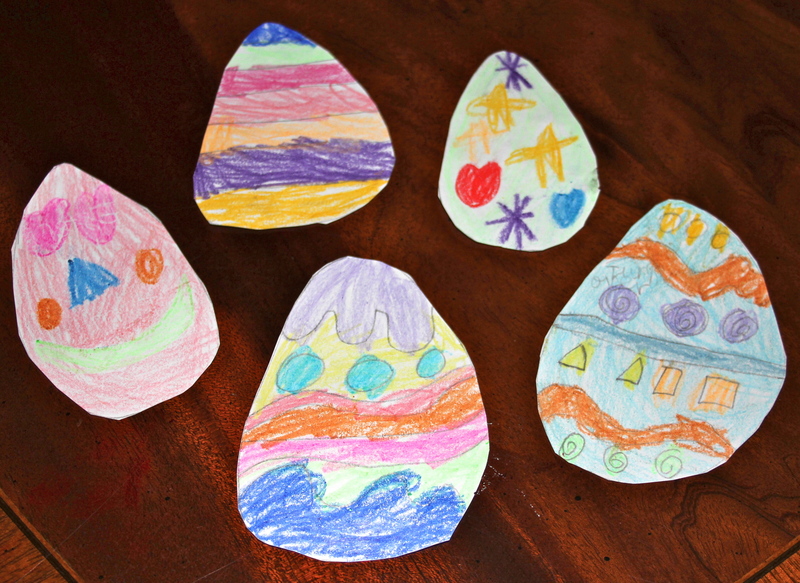 Isabelle had written lots of notes for the Easter Bunny and had left them all over the garden. 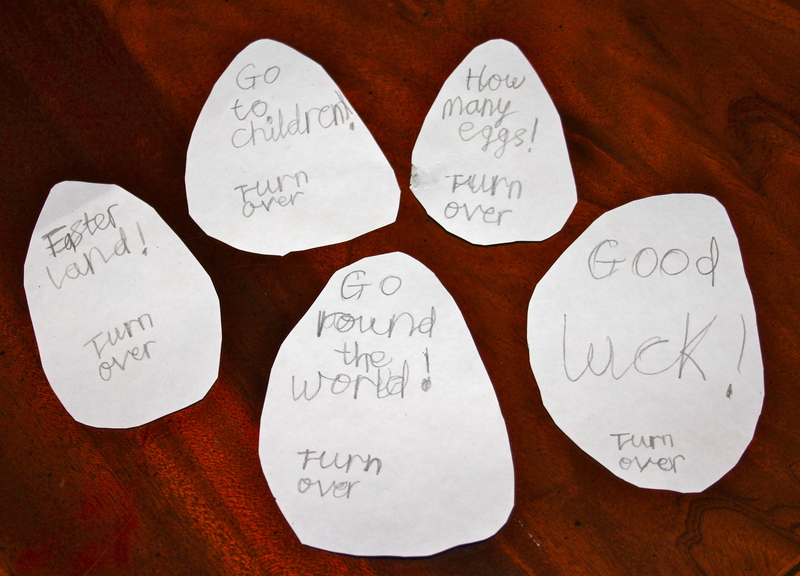 Isabelle’s Easter Notes for the Easter Bunny. What a lot of eggs! Oliver is pretending to drive this flash car. He is very impressed by fast, impressive vehicles and knows the names of all the fancy ones. As Shanghai is full of “new money”, we often see these types of cars around town. 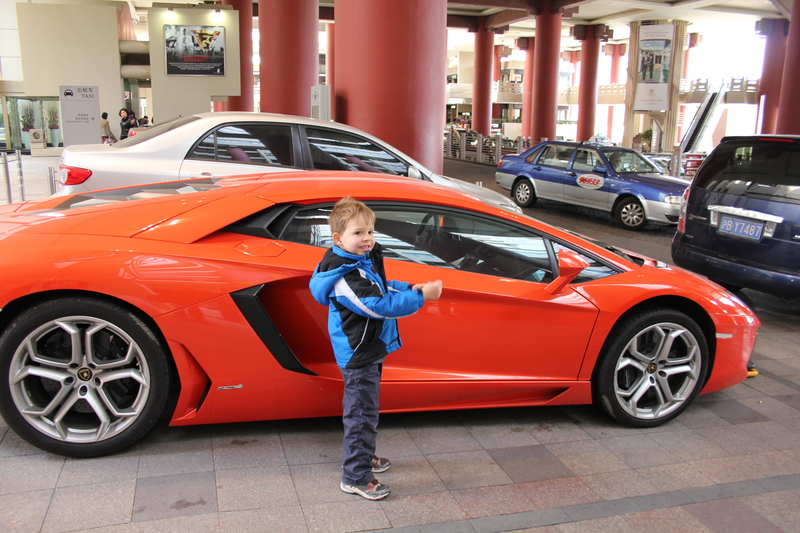 Right behind the Lamborghini is the Ritz Carlton hotel. 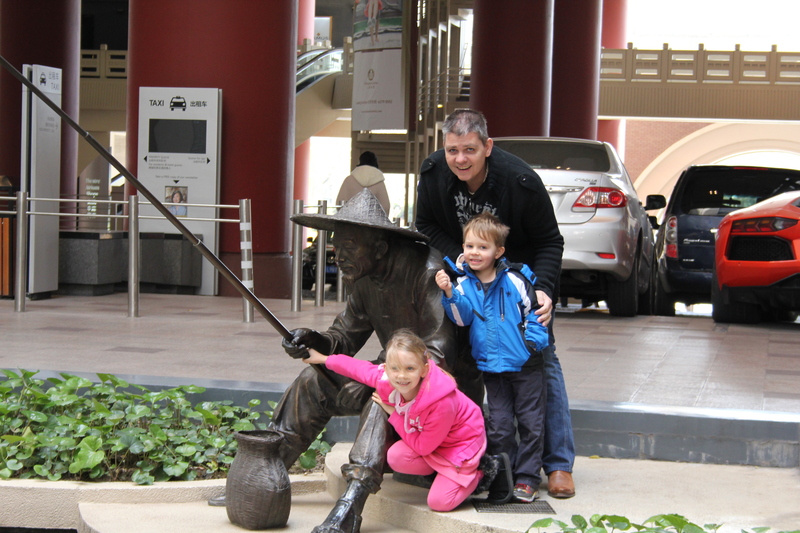 They have a lovely bronze fisherman out front. We finished Easter Sunday with the kids doing lots of dancing at home. I know I am getting old as many of the songs that Isabelle likes and can name, are by people or groups that I have never heard of! After a marathon dance routine involving lots of swinging around and sliding on the floor, it was time to eat some more chocolate and give Mum a hug! Worn out after all their dancing. 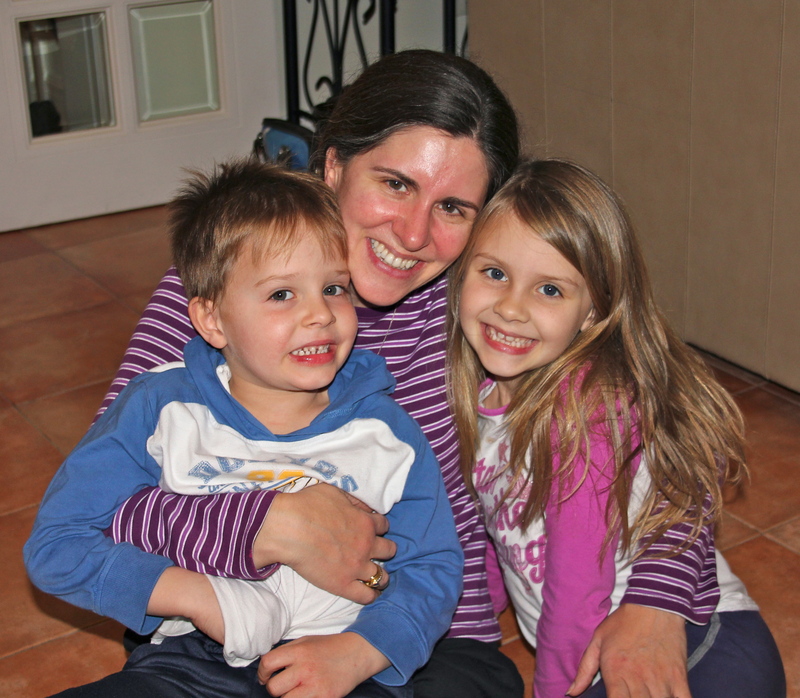 But not so tired to still smile so brightly with their old Mum! This entry was posted in Uncategorized and tagged Easter, Easter Bunny, Easter Eggs, Kids. Bookmark the permalink.